Florida icon, ’66 East Coast Surfing Champion and longtime Hobie team rider Gary Propper has gracefully kicked out at the age of 72. Inspiring countless surfers up and down both the East and West Coasts with his stylistic approach, Propper’s signature Hobie model was released in ’66 and became the top-selling surfboards of the day. “He was an aggressive surfer and still just a young kid, but he was good and rising to popularity really fast,” remembered Hobie Alter in an interview. “We had Corky Carroll and Phil Edwards models and we wanted something for the east coast, and he was the first east coast surfer to really get noticed.” His spirit and stoke will be greatly missed. 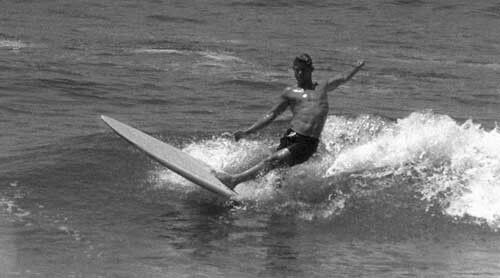 Propper competed in the Surfing World Championships in 1966, ’68 and ’70. In the early ‘70s when it was time for him to expand on his fame out of the water, he turned to the world of entertainment. Finding himself under the mentorship of the legendary Bill Graham, he became a music promoter who booked acts such as The Police, Blondie, and Devo. Later, he managed comics like Gallagher and Carrot Top. But, his greatest instance of forward thinking, was to secure the film rights to the Teenage Mutant Ninja Turtles comic book characters.